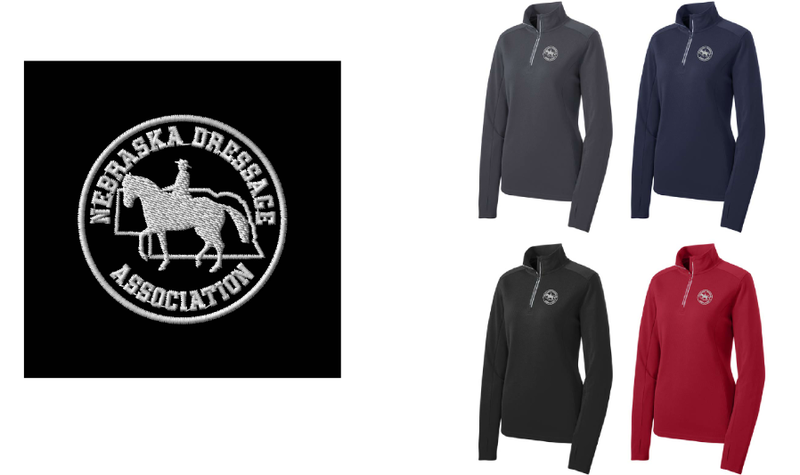 We have four different kinds of NDA apparel to offer this year! ​All proceeds from the sales of this garment will go toward fundraising for the NDA Juniors. Thank you for your support! 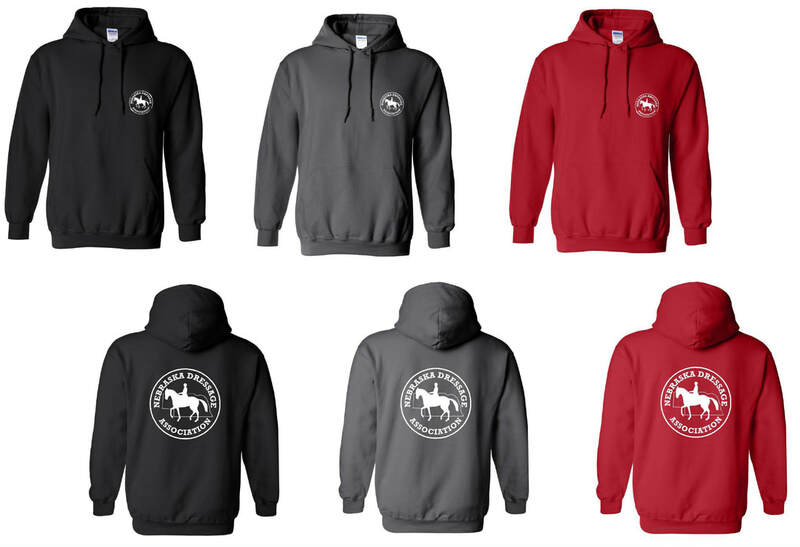 After your purchase, hoodies will be distributed at the Cornhusker Classic on May 25–27, 2018. 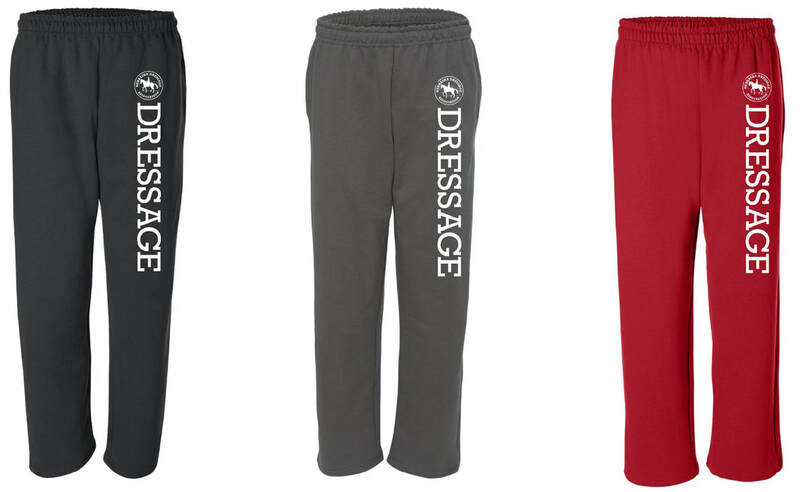 These comfy lounging pants have the NDA logo on the hip and the word "DRESSAGE" down the left leg. Available in three colors: red, gray, and black. Sizes XS through XL. This solid-colored warm sweatshirt has a front pocket and a drawstring hood. Available in three colors: black, gray, and red. Sizes XS through XL. This is a lighter, softer hoodie—more like a long-sleeved t-shirt. It's gray with black sleeves and a white NDA logo. Sizes XS through XL. This sporty quarter zip features long sleeves with thumb holes and a white NDA logo on the chest. Available in four colors: gray, blue, black and red. Sizes XS-XL. Place your order using this form. Then please remit payment to Miya or Kim Higgins. 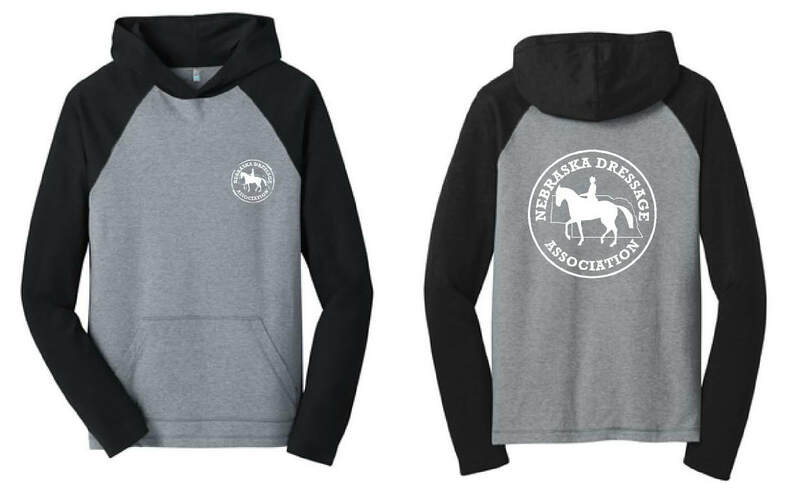 Checks may be made payable to Nebraska Dressage Association, and may be sent to Kim Higgins, 1818 Sewell Street, Lincoln, NE 68502.